MLA College will be at the Learning Technologies exhibition on 1 & 2 February, at the Olympia in London. Please visit Luke and Jon at our stand and leave your business card for a chance of wining a Taittinger champagne bottle. You can access the LT website by clicking the link below. Through years of creating learning materials which feature considerable use of video and 3D animation, our team of video professionals, 3D Animation Specialists and Content Creators are perfectly placed to provide stunning visual solutions for projects of all sizes across the UK and further afield. Click on the link below for more information about what MLA College can do for your business. MLA College is pleased and proud to announce that we scooped the Gold award at last night’s Learning Technologies Awards in London. We won our category of Best Online Distance Learning Programme against some stiff competition, for the submission “Delivering degrees to seafarers without internet”. A warm welcome aboard to Guillem! MLA College would like to warmly welcome Guillem who is a Spanish work placement student. 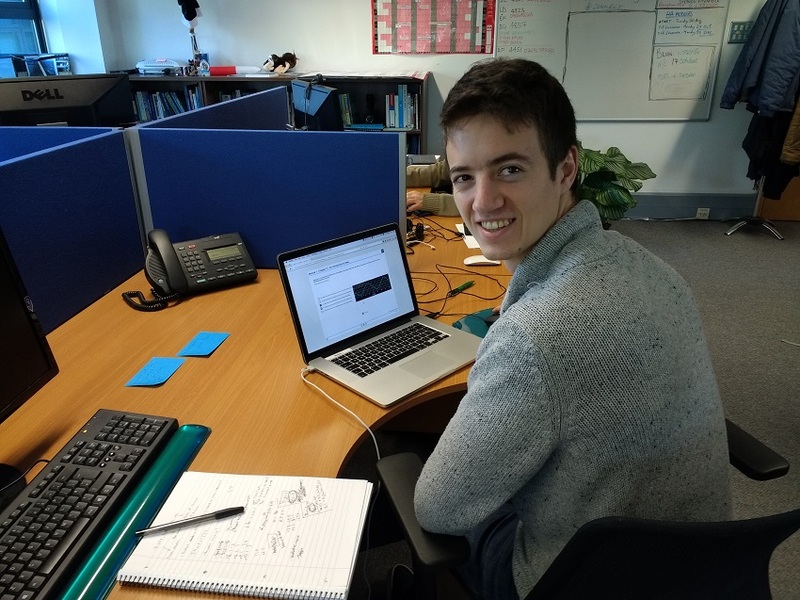 Guillem has been with us one week now and is already getting stuck into helping with the functionality of some of our interactive questions. He has a keen interest in computing and programming and will be with us for the next 6 weeks or so.